CLICK HERE to see the full gallery of All Access photos from qualifying. 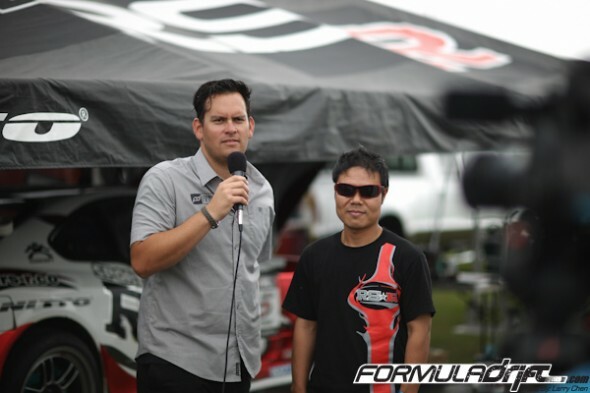 Long Beach, Calif. – June 6, 2011 – Formula DRIFT entered Florida for the first time for Round 3: Invasion at Palm Beach International Raceway. Justin Pawlak takes the victory in the Falken Tires Ford Mustang and regains the lead in the Pro Championship standings. 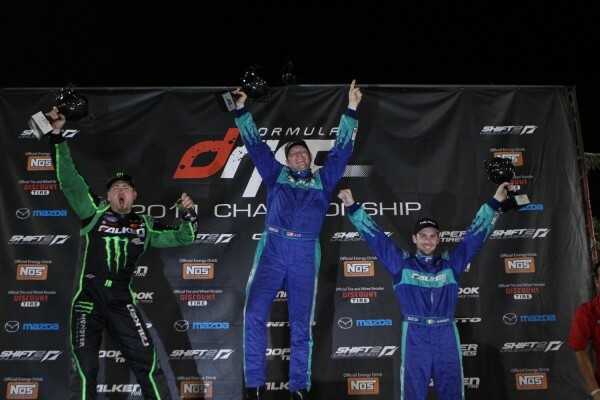 Round 3: Invasion brought the Formula DRIFT Pro Championship to Florida for the first time in the eight seasons of competition. The action packed weekend showcased the best drifters in the world at a new venue. The new course was technical and fast giving the drivers a challenge to adjust to. The action on track saw the top 4 qualifiers make it into the Final 4 of the competition. Number one qualifier Chris Forsberg in the NOS Energy Drink Nissan 370Z battled number 2 qualifier Darren McNamara in the Falken Tire Saturn Sky in the consolation round. 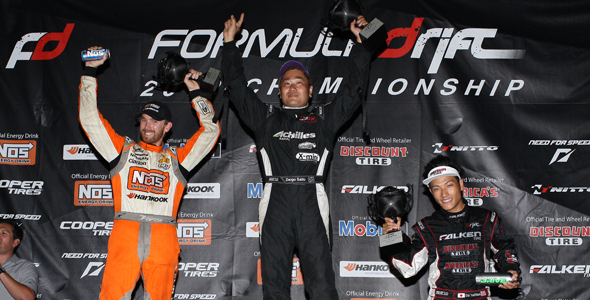 McNamara beat Forsberg to take third place in the event and also solidify a team Falken Tire sweep on the podium. The final battle was a battle of the Mustang with Falken Tire teammates Justin Pawlak in the Falken Ford Mustang and Vaughn Gittin, Jr. in the Monster Energy / Falken Ford Mustang. 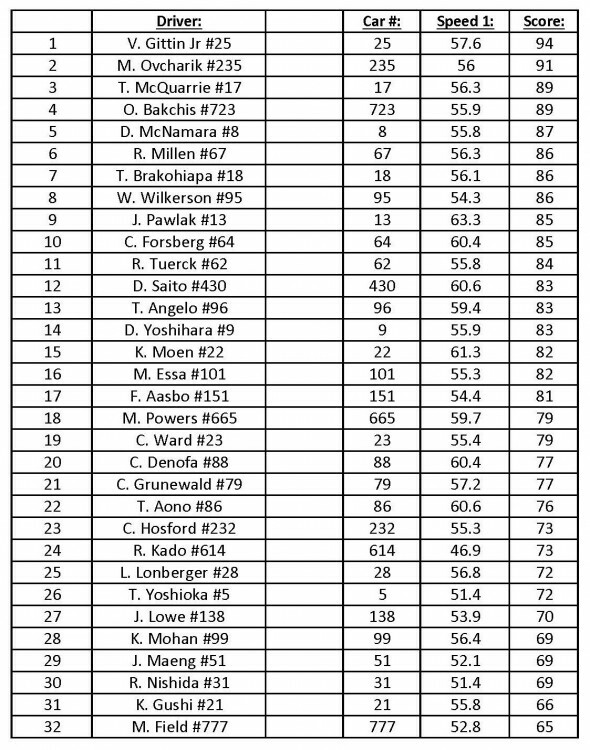 Pawlak edged out his teammate for his second victory of the season regaining the lead in the pro championship point standings. 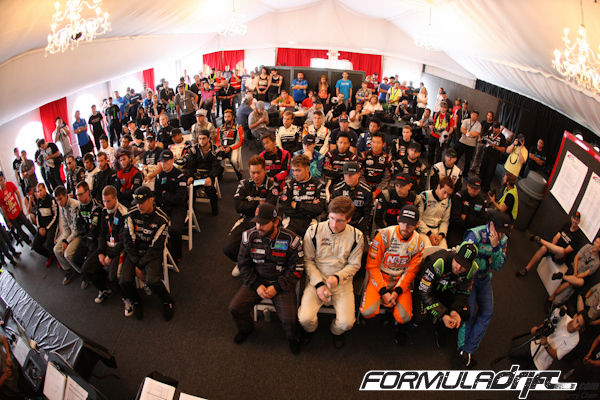 The Formula DRIFT Championship continues later this month for Round 4: The Gauntlet at Wall Speedway in New Jersey on June 17-18. Tickets are available to purchase online.